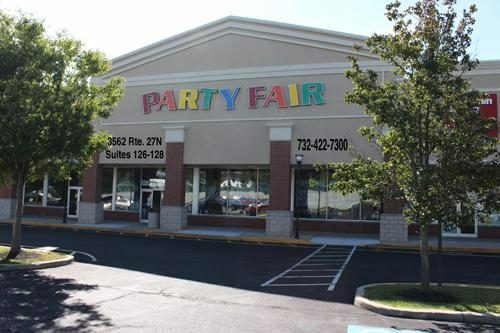 South Brunswick NJ's largest party supply store announces winter hours. In an effort to make shopping for your party supplies Party Fair of Kendall Park recently has changed their hours of operation for the winter. Kendall Park, N.J. – Shorter days mean people are not as likely to celebrate outside with parties and get-togethers. Party Fair of Kendall Park, a local entertainment store, has adjusted their hours accordingly. Their hours will be Monday – Thursday from 10:30 a.m. to 8:00 p.m.; Fridays 10:00 a.m. to 8:00 p.m.; Saturdays 9:30 a.m. to 8 p.m. and Sundays 10:00 a.m. to 4:00 p.m. This schedule allows for their much appreciated customers to still find, purchase and rent their party needs but allows flexibility for the rest of the staff. It may be winter, but there are still plenty of activities to enjoy before it begins turning warm outside. Martin Luther King, Jr.’s birthday is in January. The Super Bowl is in early February as is Chinese New Year. Also in February, and it should go without mentioning, is Valentine’s Day. Then in March it’s Saint Patrick’s Day followed in April with Easter. Party Fair of Kendall Park will have all of the items necessary to host any one of these or other celebrations at this time. Those who are hosting any sort of upcoming event will be glad to know that Party Fair of Kendall Park has a complete selection of tables in three sizes, chairs and even rent helium tanks for balloons for rental. This is in addition to their regular selection of party favors and accessories regularly available for sale. Party Fair of Kendall Park routinely stocks themed party favors, holidays, personal events, weddings and any time there is a need to have friends or family come over for a party. Cake decorators rejoice. The store also carries a full line of Wilton products, the leader in the cake decoration and production industry.